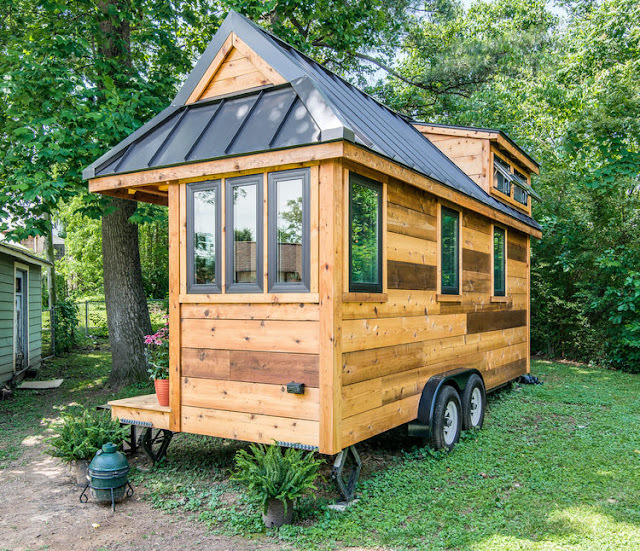 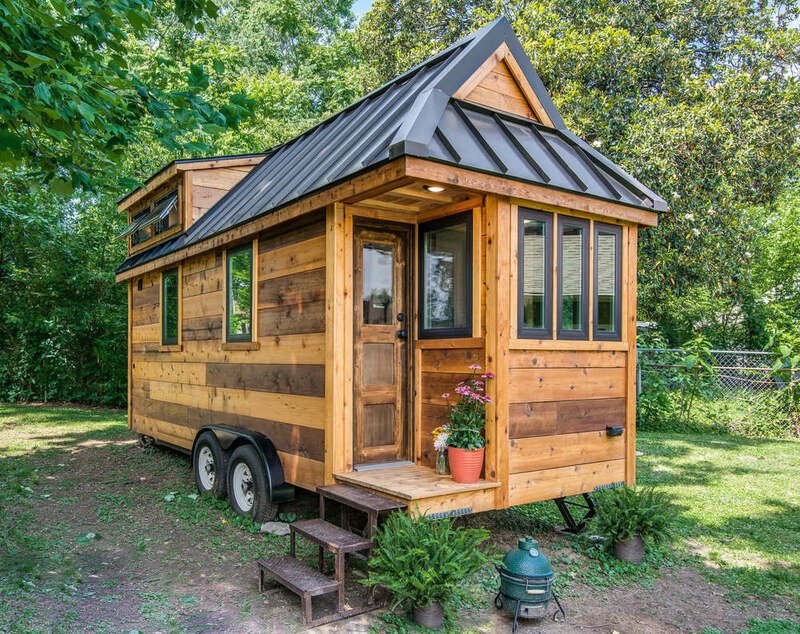 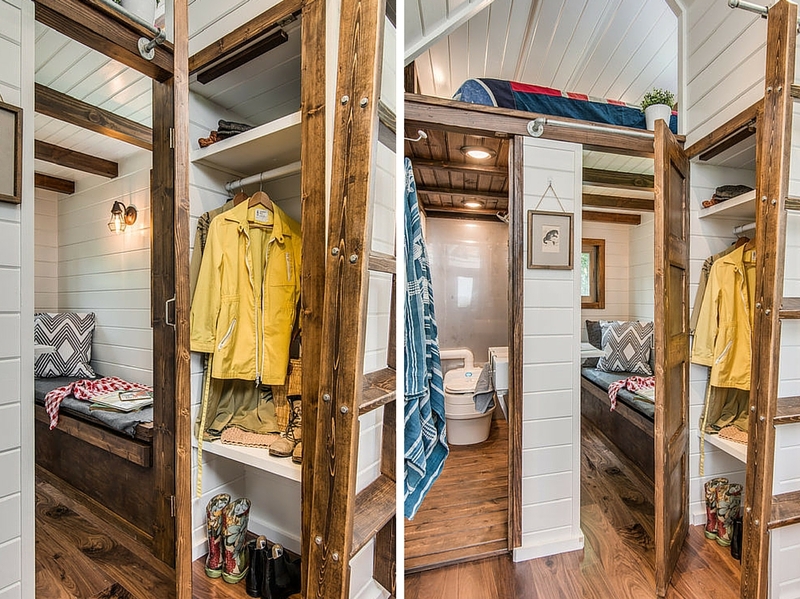 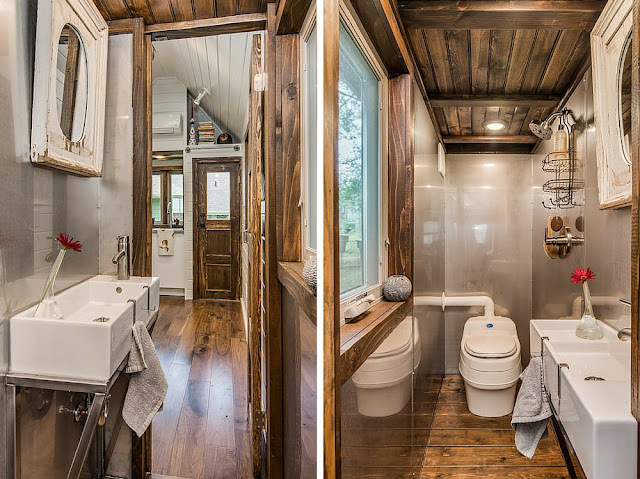 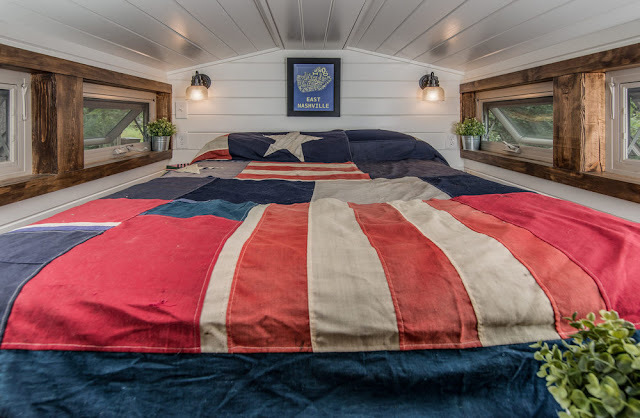 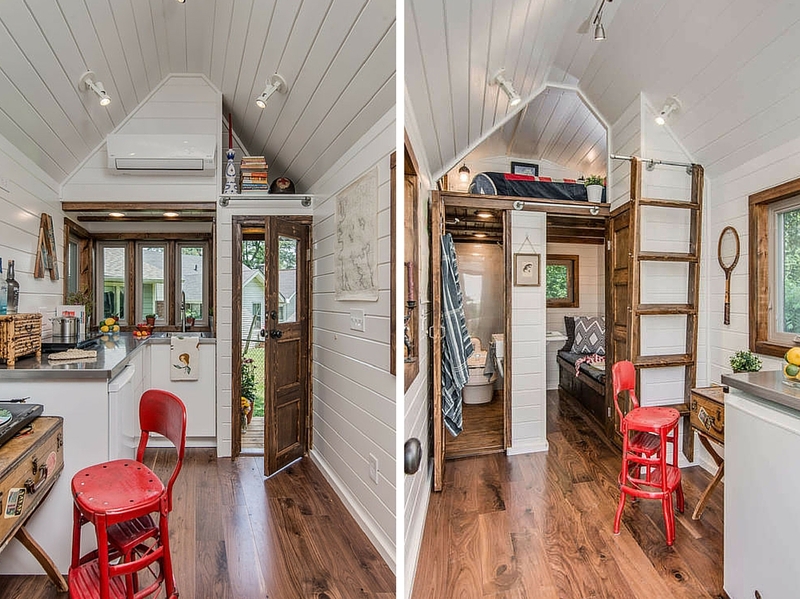 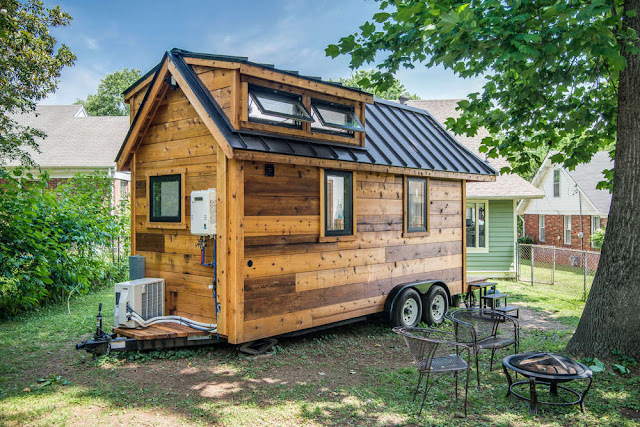 The Cedar Mountain is a stunning cabin-styled tiny house from New Frontier Tiny Homes. 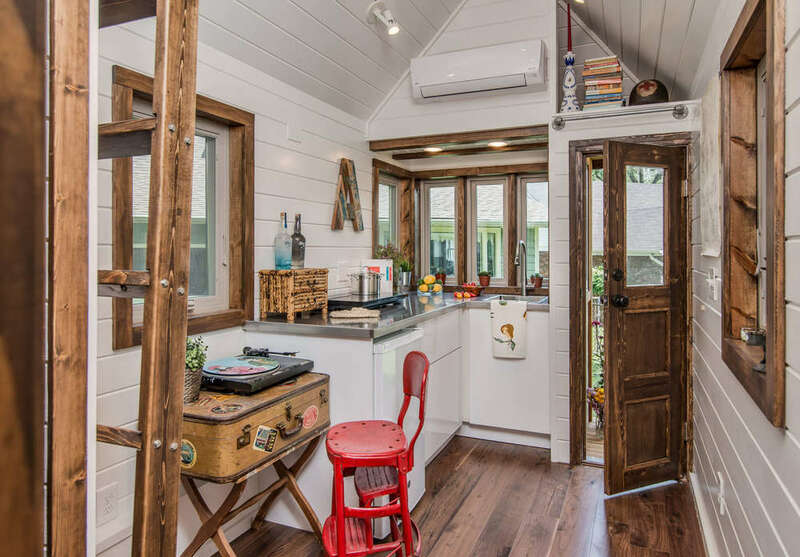 The home has a full kitchen, full bathroom, a living room, a loft bedroom with a storage nook, and a second loft for storage. 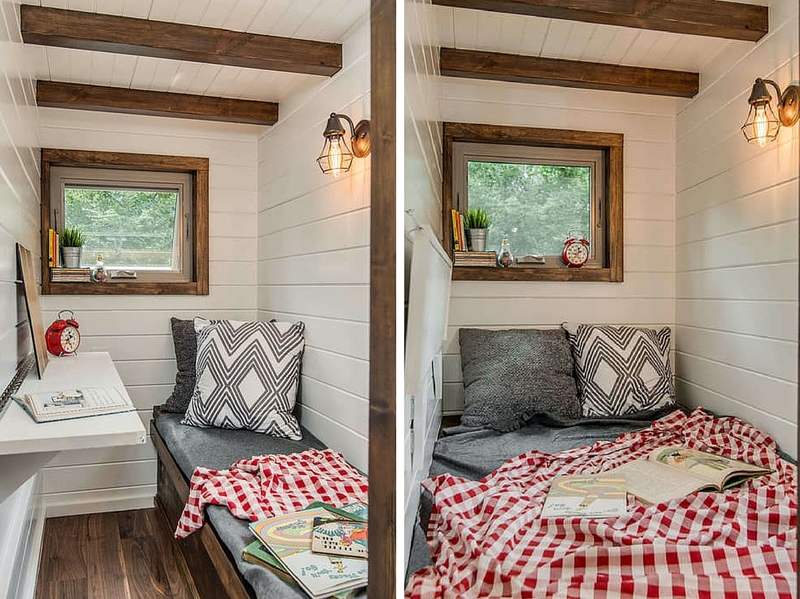 There’s also a small second room that can be used as a guest bedroom and home office. 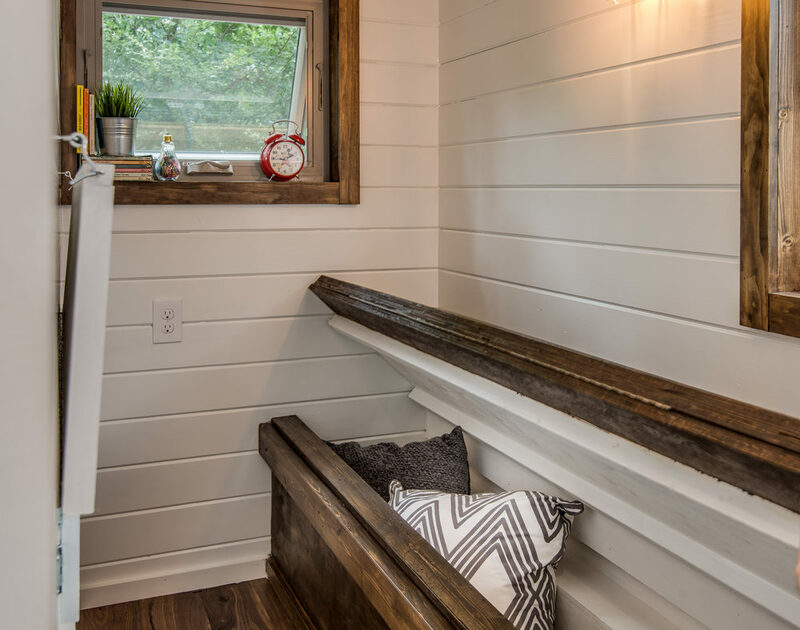 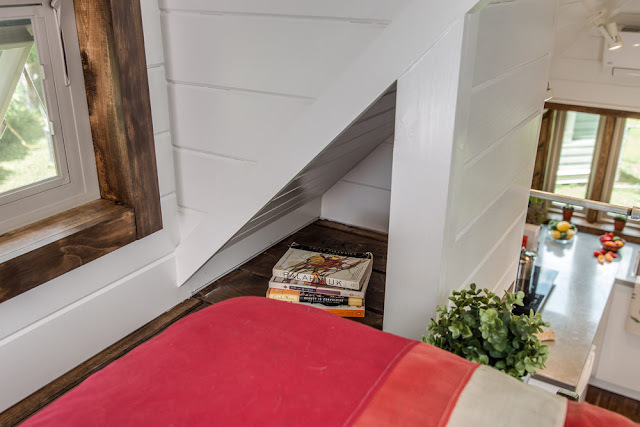 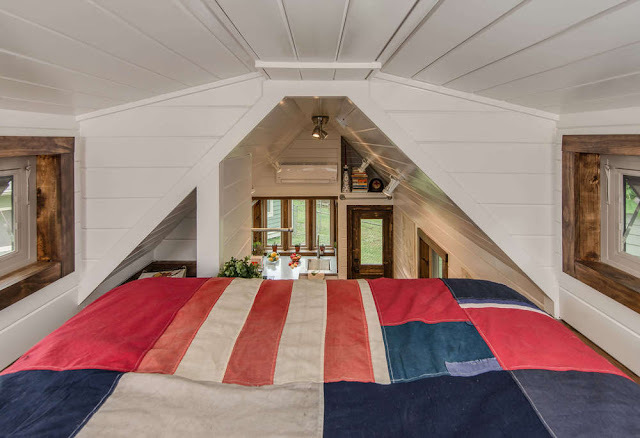 The second room features a custom-made fold-out bed with bench storage, and a fold down table/desk. 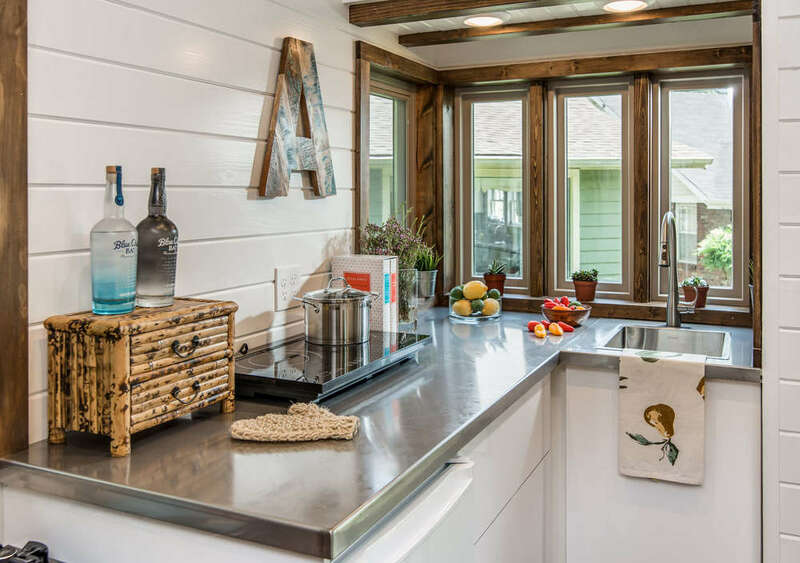 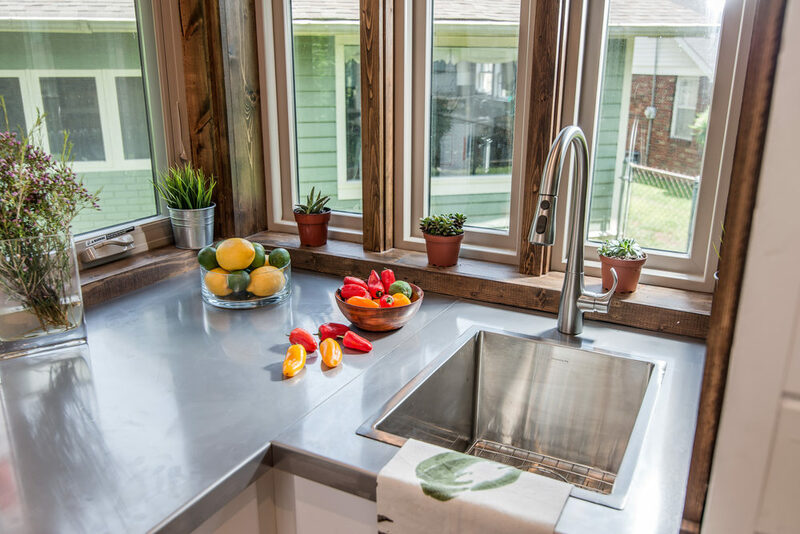 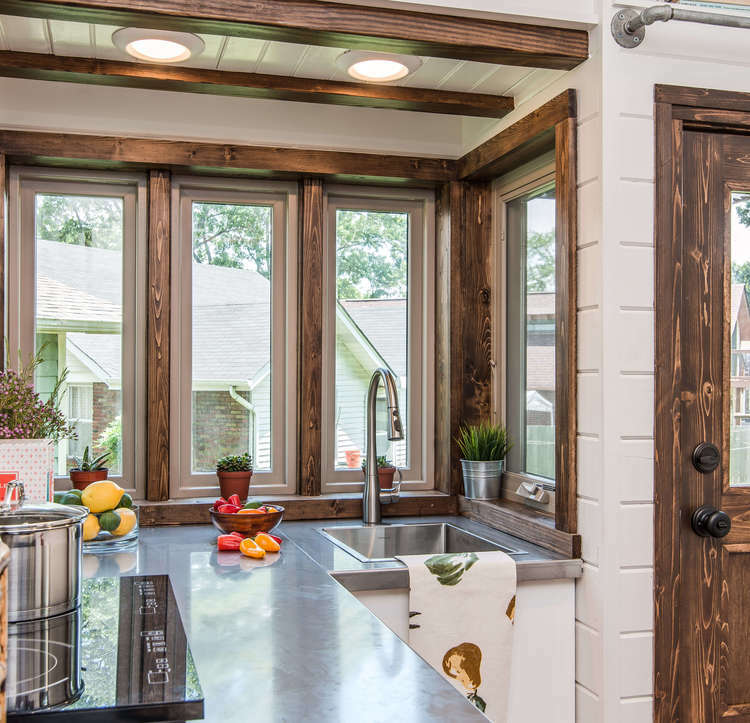 The Cedar Mountain’s kitchen comes with custom cabinetry, stainless steel countertops, a two-burner induction cooktop, and a small fridge/freezer. The home is made and sold in Nashville, Tennessee, for $69,000.